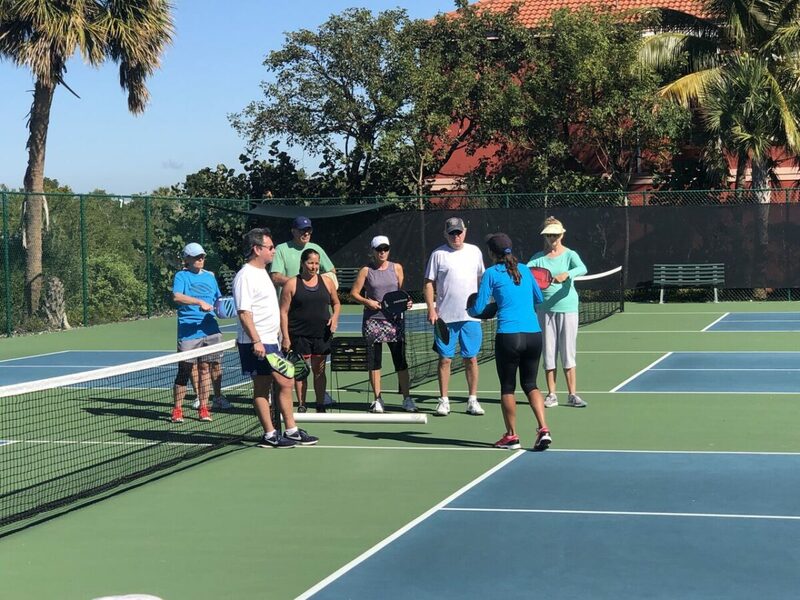 Earlier this month we got to play host to the U.S. Open Pickleball Academy and it was a huge success! This was the first time this event has been held outside of their home court and we were so honored they chose us for this event. We asked our resident Pickleball Pro Ernesto his thoughts on the camp and how it compared to other similar experiences we’ve offered before. I think it was a well-attended event and we had a great group of people on both the playing and instruction side of things. What really stood out to me though was the level of play. I just saw more strategy, more movement, more thought out positioning. It was a different level of gameplay than we’ve seen before at our clinics and camps. 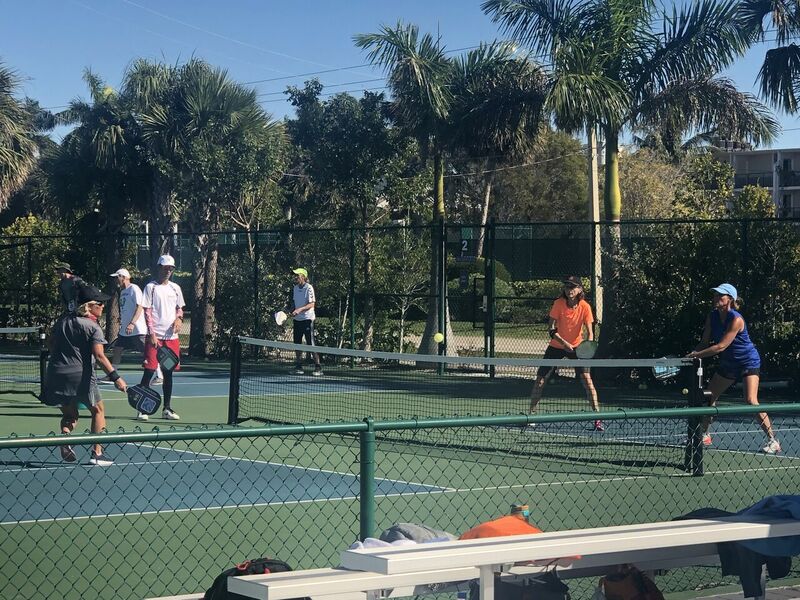 Speaking of instructors, we had the pleasure of meeting and working with U.S. Open Pros Simone Jardim and Chad Edwards, who led the attendees in drills, skills work and practice games each day. Simone Jardim – Simone got her start in tennis and then transitioned into pickleball, where she is now an IPTPA certified instructor. In 2018 Simone took home the gold and the PRO Women’s Singles title at the 2018 Minto US Open Pickleball Championships. Since she began her career in pickleball, just 4 years ago, Simone has “become a 6-time National Open Champion, 8-time TOC Open Champion and a 7 time U.S. Open Champion, winning the U.S. Open Triple Crown twice.” (Peak Pickleball Academy) Getting to share the court with such a pro was a real pleasure for all of the attendees. Chad Edwards – Chad Edwards, like his wife Simone, is also an IPTPA certified instructor who got his start in a different sport entirely. He is a former Division 1 baseball player and coach with over 10 years coaching experience. He made his transition to pickleball shortly after Simone fell in love with the sport and since has become a coach and brought home titles in 4.5 and 5.0 mixed doubles competitions and took home silver at the U.S. Open Pickleball Championships. Thank you to U.S. Open Pickleball, Simone Jardim, Chad Edwards and our amazing Sundial team for making this such a successful event and helping us kick off the 2019 pickleball season right. We look forward to a great year in pickleball!